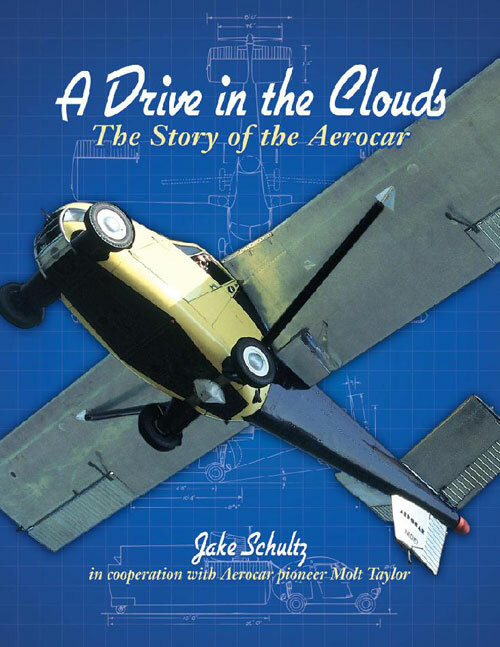 This book celebrates the passion and dedication of Molt Taylor -- the very determined designer of a flying automobile named the Aerocar. In this, the only full account of the story ever written, you'll follow his project from its initial concept through full government certification, seeing its rising fame as it is featured in more than 500 articles and on television classics such as I've Got a Secret and What's My Line?. Created with material from Taylor's personal archives, this is an amazing and inspiring tale. 128 pages, approximately 100 B&W and color photographs, plans and illustrations, and more. 8.5"x 11", softcover. Available for $21.95 from Historic Aviation. If Schultz's name sounds familiar, its because he is also curator of the Newport Way Air Museum (okay, its just his home) and a collectSPACE member. If you haven't already, check out this entry for more connections between the Aerocar and space flight. I am certain Scott Crossfield is smiling down on you now. 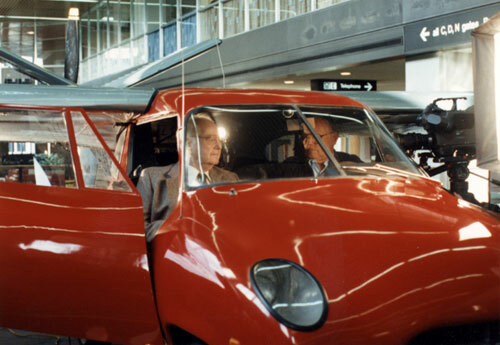 The Aerocar car was a project that Scott took a lot of interest in. You could really get him going if you brought this topic up. I am certain everyone looks forward to the success of both you and your book, and try not to jump up and down on Oprah's couch if she brings you on her show one day. Enjoy yourself and have fun.... it is only a hobby! Congrats Jake, looks like a fantastic read. Correct me if I'm wrong, but wasn't the Aerocar used in the "Love that Bob" TV series with Bob Cummings? Boy that certainly dates me, doesn't it. I tell you what dates someone, I watched that TV series and was 9 years old.